Scottish National winner Joe Farrell continues on the comeback trail in the Insure With Be Wiser Handicap Chase at Newbury on Saturday. He did not reappear until three weeks ago due to a setback, and Rebecca Curtis still has her fingers crossed he could make the cut for the Randox Health Grand National, even though he is currently only 58th on the list for a race where a maximum of 40 can run. “I thought he ran OK first time back, he’s a big, burly horse and always takes a couple of runs to get fit,” said Curtis. “He ran as expected really, I thought he’d need the race, but hopefully he’ll run a bit better now. We’re hoping he gets into the National, but we have a few options for him. “He could go for the Scottish again, but he’s also in the Irish National. There’s the Bet365 Gold Cup, too, so we’ll just see how he goes in this. Classic Ben is the only last-time-out winner in the race and the Stuart Edmunds-trained six-year-old may still be ahead of the handicapper with only 4lb more to carry than at Sandown. “Classic Ben could have been hit harder for his last win and they’ve actually dropped him 1lb since,” said Edmunds. “They initially put him up to 135, but have since dropped him to 134 because the second has been beaten since. “He’s in good form, whether that was his big day for the season – it probably was – but he deserves another go. He’s only six, improving and will go on the ground. Edmunds has stamina doubts for the hat-trick-seeking A Little Chaos in the EBF & TBA Mares’ “National Hunt” Novices’ Hurdle Series Final. The five-year-old won at Fakenham in December, before defying a penalty in good style at Market Rasen last time out. However, both of those victories were over the minimum trip and she races over an extended two and a half miles this weekend. “She deserves her place, she’s in good form and if she gets the trip I think she’ll run a nice race,” said Edmunds. 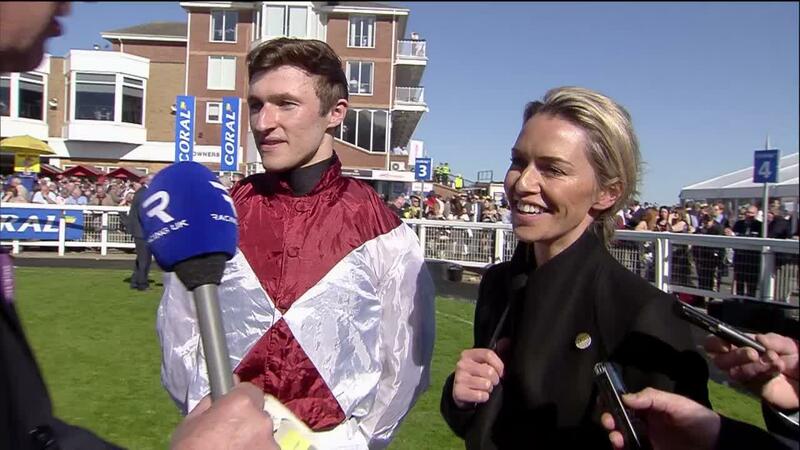 “She’ll like the ground so that’s in her favour, but I’ve never run over further than two miles, so that’s the issue. I think if she gets the trip she runs a nice race. A field of 14 will go to post for the Be Wiser Insurance Juvenile Handicap Hurdle which features plenty who failed to make the cut for the Fred Winter at Cheltenham. One of those is Jedd O’Keeffe’s Groveman, who has not been out of the first two in three runs over hurdles to date. “We’re really happy with him and this race has been the target for a while. We did enter him in the Fred Winter, although we didn’t expect to get in,” said O’Keeffe. “I think the extra two furlongs will really suit him and the galloping track will be right up his street. We’re happy with the progression that he’s been making.